The House of Representatives voted to halt an action that would keep states from defunding Planned Parenthood in their respective states. Given the makeup of the Senate and the executive branch, the effort is likely to succeed. Right as now-former president Barack Obama left office, he signed a bill that wrapped up Planned Parenthood’s funding in Title IX legislation, essentially keeping states from removing public family planning funds on the grounds of abortion. 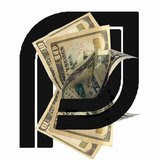 At the time, 13 states had defunded Planned Parenthood by keeping Title IX funds from going to the organization, which is the nation’s largest provider of on-demand abortions by far. Obama amended Title IX to take away state’s ability to do that. Yesterday the House voted 230-188 to overturn the new Title IX rule using what’s called the Congressional Review Act (the act, according to Vox, lets Congress fast-track or disapprove of newly introduced federal rules). Now the “resolution of disapproval” will head to the Senate, where it requires a 51-vote majority, and then to president Donald Trump’s desk. It’s likely that Trump will sign the bill, given his previous statements about defunding Planned Parenthood.